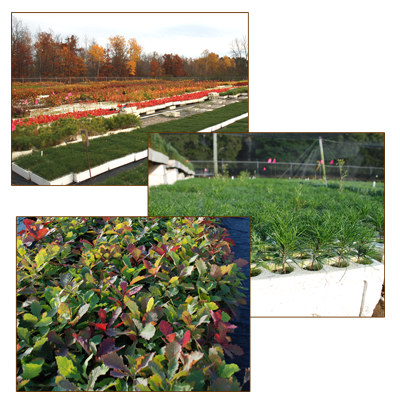 Itasca Greenhouse, Inc. grows 2-3 million containerized tree seedlings in two crops per year. Plug tree seedlings offer many advantages including high survival rates, longer planting season, increased flexibility of planting schedule, and no planting check since the roots are protected in the soil plug and are planted with roots essentially undisturbed. Conifers in Plant Bands......Conifers in plant bands have a larger caliper than our plug seedlings. They are great for those looking for larger transplants for Christmas Tree plantations, SWCD plantations, or difficult sites. 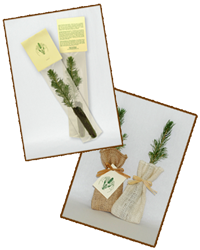 Exotic Conifer Tree Seedlings ........ These have been selected for specific characteristics such as color, needle retention, late flushing and exceptional flexibility to climate and soil. Potted Tree Seedlings/Hybrid Poplar Cuttings....... Pricing for available trees in gallon containers. Poplar cuttings are a fast growing species, however it does require intensive site preparation and maintenance. Seeds/Nuts......Buy or sell seeds and nuts from Minnesota and Wisconsin forests. PO Box 273, 26385 Blackwater Rd.